Nonetheless, meetings with potential investors, clients, and mentors in the city is a non-negotiable aspect of growing a tech company. For better or worse, this puts many individuals in the position of commuting to and from the city on a regular basis. Which begs the question: Where is the best place for startup founders to work in-between meetings, on trips into London, or on a flexible (and affordable) basis? In this article, we'll cover a few of the lesser-known, affordable work options for London tech founders looking for a place to work just for the day. The best part? Every recommendation on our list is either 100 percent free or close to it! If you're looking for a quiet atmosphere, conducive to "heads down" work, look no further than the city's impressive array of public libraries. Being one of the oldest cosmopolitan cities in the world, London houses its books in some exceptionally beautiful buildings. The universal rule of "being quiet in a library" ensures you won't be distracted by noisy neighbors. Libraries boast huge databases of electronic resources that may prove useful. The public WiFi is sometimes slow and/or spotty. Library etiquette will circumvent your ability to take Skype calls, hold meetings, or effectively collaborate with team members. Bethnal Green Library is in an ornate Victorian building featuring high ceilings, wood paneling, and several decorative medallions in honor of British cultural heroes. Online reviewers cite the library's staff as exceptionally friendly and helpful. However, avoid the bleak study area and head for the more uplifting adult library section. Beware of the building's complicated WiFi system, which requires a few extra steps to navigate. Bethnal Green Library is a 1 minute walk from the Bethnal Green Tube Station. Weekday Hours: 10:00 a.m. - 6:00 p.m. Founded in 1933, the BFI is a charity dedicated to the art of film. Governed by a Royal Charter, the organization provides the British public with film festivals, education, and exhibitions. One of the BFI's crown jewels is a small, tucked away space called the Reuben Library. Located in Southbank, the library consists of one small room, split into three sections made up of 24 individual workstations, public computers, and six large desks. The decor is simple, minimal and clean. Whether it's the lockers, or the impressive film section, the coveted desk space here is difficult to come by. Be prepared to put your name on a list and wait around for a private workstation. Weekday Hours: 10:30 a.m. - 7:00 p.m. Located near Piccadilly Circus, this gem of a library is quiet, elegant, and brimming with history. The building, which features tiled floors, thick wooden banisters, and old metal radiators, was once home to Isaac Newton. Head to the Art & Design Library on the second floor to find a small room with several desk spaces, windows, and no shortage of floor outlets. The vibe is super laid-back, unpretentious, and safe. Prepare to deal with hot temperatures in the summer (the building is really old) and slow WiFi. Weekday Hours: 10:00 a.m. - 8:00 p.m. Unfortunately, the WiFi at the British Library is not free. However, the area's paid, open zone WiFi is arguably more reliable than what you will find in other libraries. New to the London tech scene and looking for the best events, meetups, coworking spaces, and more? 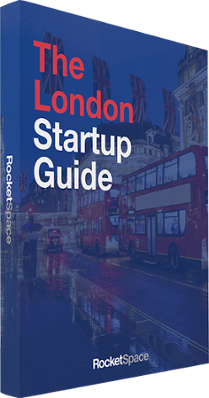 Get the London Startup Guide for a curated list of London's top tech resources. Areas designed for accommodating remote or flexible workers, open workspaces are a comfortable option for getting a few hours of work in before heading to a meeting. Lively, and bustling, with cafes and WiFi to keep you going, many of London's entrepreneurs head to the below options when looking for flexible desk space. Often overcrowded and difficult to find workspace. Campus London is Google’s UK startup hub. With more than 22,000 members (from more than 60 countries), the organization is situated within a large building in central London. Campus London hosts several educational panels throughout the year and houses four shared workspaces, including TechHub, Central Working, Seedcamp and Tech Stars London. Downstairs you will find a small cafe available for tech startup founders and entrepreneurs to work from. 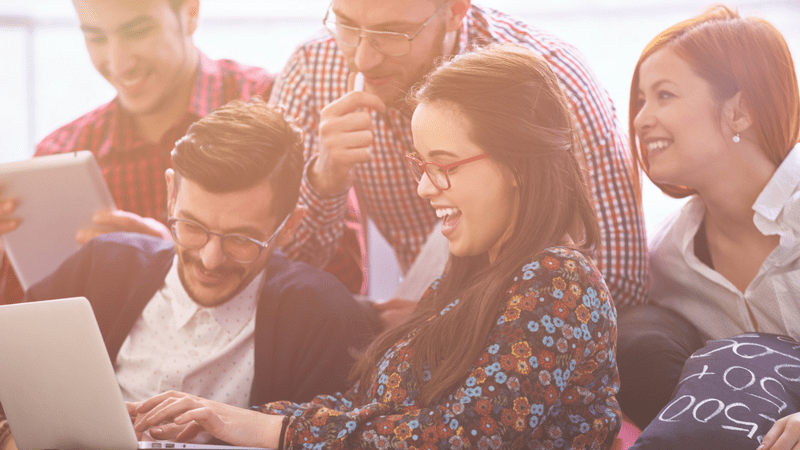 Becoming a member is free, and available to all technology professionals. Once your membership has been approved, you can snag a seat and get to work. Seats tend to fill up fast (both indoors and outdoors), making the location ideal for grabbing a coffee and networking, but poor for intense concentration, or team collaboration. Weekday Hours: 9:00 a.m. - 8:00 p.m. Described as a "Treehouse for adults," Ziferblat is a unique "pay-what-you-like cafe and social club." Located off the corner of Old Street and Shoreditch High Street, the facility provides patrons with a super comfortable, casual, work environment. You can work, grab a coffee, and collaborate for only 5p per minute, or £3 an hour. Once your bill reaches five hours, it is capped for the day at £15. The rate also includes free printer access, fast WiFi, complimentary battery chargers, and proper coffee. Here, you will find a mix of people quietly working at tables and groups collaborating. It’s not loud, but you may find it very difficult to find a desk to work from. 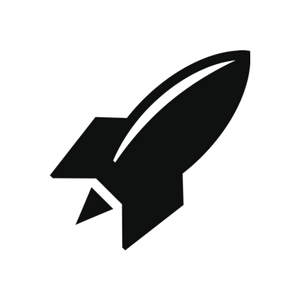 Weekday Hours: 10:00 a.m. - 11:00 p.m.
Just a few steps from Angel Tube Station off of the Northern Line, you will find London's newest tech campus: RocketSpace. Situated in a former cash-counting facility, RocketSpace provides scale-up tech companies with a variety of tech-centric amenities, including customizable office space, multi-gigabit internet connection, hands-on workshops, and peer roundtable discussions. For tech entrepreneurs in need of an affordable and flexible workspace in London, RocketSpace Surf Desk membership offers guaranteed desk space when you need it. 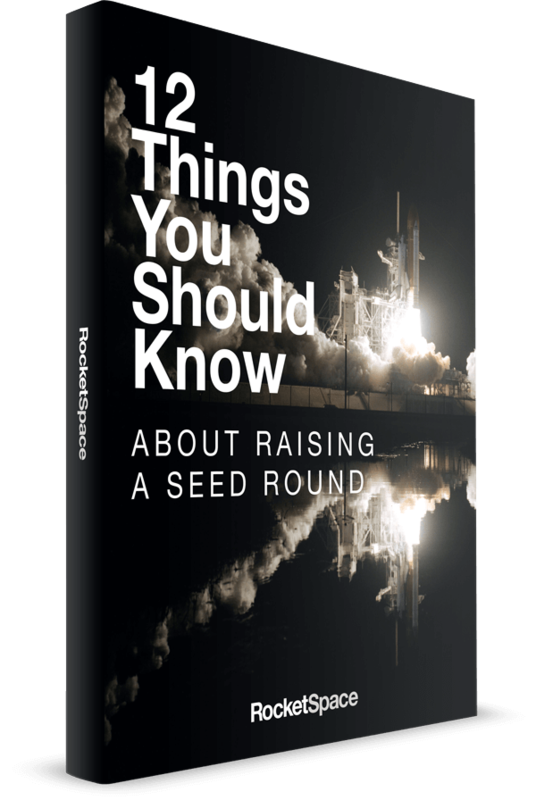 Plus, your membership provides access to RocketSpace's corporate innovation program and exclusive members only events. While not entirely free, the Surf Desk membership is ideal for budget conscious tech entrepreneurs who don't want to stress over finding a workspace while in the city, and do want to take advantage of a community of tech entrepreneurs and startups. It may sound strange, but London has a lot of amazing hotel lobbies that are ideal for getting work done. No matter where you find yourself in the city, there is almost always a hotel nearby offering comfy couches, coffee, and open lobbies for meetings and working. While you will have to at least buy a coffee to enjoy working from a hotel lobby, it's a small price to pay for a decent workspace for a day. Trendy/posh atmospheres that you can make calls from. Ideal environment for holding meetings (i.e. not too quiet, but not too loud). The food and drinks are usually over-priced. You may have to pay for WiFi if you are not a hotel guest. Can't bring an entire team. Got some time before your next meeting in Shoreditch? Grab a drink at the Ace Hotel: A chic boutique-style hotel that boasts a snack bar, a coffee shop, a juice bar, and a basement bar with live music. Just a 5-minute walk from Shoreditch High Street station, the Ace Hotel attracts a wide variety of locals and tourists alike. On the ground floor, you´ll find a minimalist aesthetic with shades of grey and modern exposed ceiling pipework. Great surfaces for laptops, free WiFi, and top-notch lattes make it a nice spot to post up for a few hours. The Pullman is conveniently located one block from St. Pancras International. The hotel features both a restaurant and bar area, ideal for getting work done. Modern decor, clean lines, and great lighting provide a relaxing backdrop for answering emails and catching your breath between meetings. Less than 1 mile from London’s Liverpool Street Station, The Hoxton provides a contemporary respite from the hustle and bustle of the city streets. The lobby's roaring fires and exposed brick feel particularly welcoming during the winter months. The hotel houses a large outdoor courtyard, a bar area, and the Hoxton Grill restaurant. With free WiFi throughout the premise, you can work pretty much anywhere. While hotel lobbies and libraries are undeniably better suited for quiet work, cafes are perfect for light work, grumbling stomachs, and tight budgets. Being one of the culinary capitals of the world, London offers a ridiculous amount of WiFi friendly eateries to choose from. Relaxed atmospheres that are great for casual meetings. WiFi can often be slow, depending on activity level of patrons. May feel pressured to move along by waitstaff. Not ideal for team collaboration. Nestled in Shoreditch, The Book Club sports a relaxed, creative atmosphere. Here you will find large wooden tables, abundant natural light, and a constantly evolving exhibition of wall art. The building itself is an old Victorian warehouse, with two floors and mosaics. You won't be alone working with a coffee at The Book Club — creatives typing on Macbooks, playing ping pong, and munching on the club's signature dish of ham, egg, and chips will surround you. The lunch menu also includes healthy salads, wraps, pastas, burgers, and cocktails. An added bonus? The club also runs DJ sessions in the evenings for those who want to unwind after powering down. Weekday Hours: 10:00 a.m. - 2:00 a.m. Situated on Great Titchfield Street, near Oxford Circus, The Riding House Café provides the atmosphere of a modern brassiere for entrepreneurs wanting a side of scrambled eggs alongside their WiFi. This central location boasts good food, free WiFI, and large windows with abundant natural light. The location also reserves a private meeting room that may be of interest to entrepreneurs looking for a casual, yet private eatery to discuss business matters. Weekday Hours: 7:30 a.m. - 10:15 p.m. While the above workspace options are fine for a few hours, you will probably find that fighting for workspace, always having to spend money on a refreshment in order to use the Wifi, and being surrounded by people not working on technical projects, is a distraction. For tech entrepreneurs looking for a flexible, affordable, workspace to use in London, RocketSpace's tech campus is a great option. Only admitting Seed to Series C funded tech startups with MVPs, the tech campus coworking space is dedicated to tech professionals looking to scale and network.